Have you ever been with a group of people and felt like you just needed to talk to that person over there? A sense that God was pointing out that particular person? Of all the chariots on the road that day, he was prompted to go next to one. 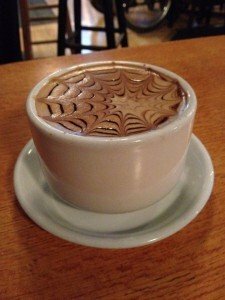 Maybe been with a friend, visiting in the coffee shop, and you have this unmistakable sense that they want to talk with you about their faith or yours? Or maybe a friend has surprised you and started opening up about their faith struggle and search for God? These moments have the potential to become kairos moments, moments where we as Christians are aware of the gentle prompting of the Holy Spirit to pay attention and likely talk about faith. The are moments that are full of possibilities for a persons spiritual journey towards Christ, where the person who are talking with may make more steps closer in their relationship with Jesus. Some might call these divine appointments. I call them kairos moments. Each conversation moment has been prepared and thanks to the working of the Holy Spirit another person makes another step forward towards discovering their relationship with Christ. Luke 19:1-10, the familiar story of Zacchaeus shows that noticing people and these divine appointments turns out to be more art than science. Luke transitions from story to story with phrases letting you know that Christ was on the move. On this particular day he came across a shunned tax collector named Zacchaeus whom we would place in the category of lost. Nevertheless, verse 3 says that Zacchaeus “wanted desperately to see Jesus” (The Message). The Greek rendering of the word “desperately” is zateo. Zateo carries with it a meaning of a frantic pursuit. This is a very dramatic and passionate verb that Luke uses. If you lost your child in a crowded public space, “zateo” describes the desperate search. If your passport is missing the night before your international flight, zateo is the word to express the intensity of searching. Do we believe that some people zateo Jesus? They have been prepared and are so full of spiritual thirst they will do anything to find the water of life? Jesus looks for them, rewarding their search. Here’s what’s remarkable about Jesus. As he’s traveling along, he comes upon an ordinary tree and then does something extraordinary; he stops and notices! Jesus is busy, the religious crowd wants his attention and yet he stops and stares up at a tree. Go figure! With all the travel language in the book of Luke, when Jesus stops it’s a big deal. What really happened at that tree could not be seen, the beauty is in the unseen. When Jesus stopped at the tree of Zacchaeus, he ascribed worth to him and said that Zacchaeus mattered. 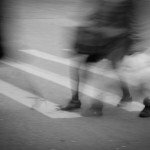 This was Jesus’ paradigm for letting people know that he cared about them—he stopped and noticed them. It wasn’t what Jesus said that was so compelling but what he did. In the economy of Jesus, Zaccheus had high value. Others may grumble because you don’t do it right. Jesus was not playing the part correctly. He was supposed to let Zacchaeus know how much he didn’t approve of his sin and share “the gospel” with him, which starts with an explanation of his failures. Instead, Jesus stopped, noticed, called him by name and had a conversation with him on his turf. The Greek verb that is translated ‘find and restore’ is none other than zateo. Apparently, Jesus is passionately pursuing the people formerly known as lost. Pursuing Jesus was his business, his passion, his reason for existence. Jesus profoundly impacted Zacchaeus not by sharing good news with him, but by being good news to him on that day. He stopped and noticed. 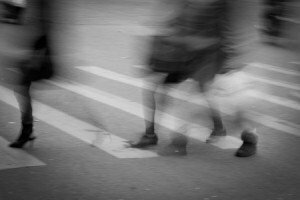 If we want to be on mission with Jesus, we’ll need to relearn the lost art of noticing. Some of those conversations will go deep. Some of those conversations that happen will go deep. Others will remain shallow. I have experienced lots of moments where after noticing people as in the Zaccheus text, the opportunity to offer a piece of the gospel happens. Sometimes I get to harvest what others have sown, other times I get to water what was already there. Sometimes I get to plant a seed for the first time. It all starts with noticing those promptings of the Holy Spirit. For a 5 CD audio set that will help you with this, click on the banner below. Personal Evangelism Coaching services page. 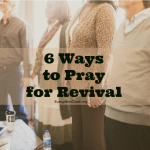 Here is a list help you pray for revival in the church and the further advancement of God’s kingdom. For youth pastors, young adult pastors, and others who work with this group, this research gives current insight based on survey data. Lifeway has published a podcast with it, found at Stetzer’s article. This is 11 percent higher than among unchurched individuals who are 30 years old and older. They are also significantly more likely to attend church or a small group than older, unchurched generations. 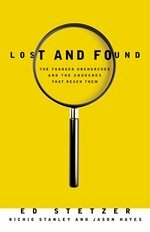 This research is included in my newest book, Lost and Found: The Younger Unchurched and the Churches That Reach Them, co written by Richie Stanley and Jason Hayes. You can get some more numbers and thoughts from the authors of the book in this article at Lifeway. The research suggests that the church is not doing well enough in meeting their needs, and looks into why they do or do not attend. Spiritual: self-identify as spiritual. A sense that God is real and they think about spiritual things. They are interested in the Jesus, but not the church (See They like Jesus, but not the Church by Dan Kimball). Interested in depth and community. The catch is that these can be found outside of the church. 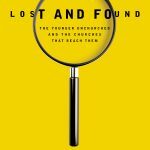 What they are looking for is what the church is called to be. They have more historic beliefs such as Jesus actually rose from the dead, but a higher sense of pluralism suggests they may not connect them with the local church. 81% believe in God or a surpreme being, but 58% suggested there is no difference between the dieties of other religions. Listen to the full 20 minute podcast — I found it very interesting. The survey also indicated that young adults have an openness toward conversations about Christianity. Eighty-nine percent of unchurched young adults say they would listen to what someone believes about Christianity. That number is 14 percent higher than among those 30 and older. Young adults would also react positively to invitations from friends to study the Bible. Survey respondents were asked to affirm the following statement: “I would be willing to study the Bible if a friend asked me to.” Sixty-one percent of 20-somethings responded, “Yes.” That’s about 20 percent higher than affirmative responses from older generations. The survey also revealed opportunities for churches among the 20-something crowd. According to the survey, 63 percent of young adults said they would attend church if it presented truth to them in an understandable way “that relates to my life now.” Only 47 percent of respondents 30 years old and older agreed. The national phone survey included 900 unchurched respondents ages of 20-29 and 502 respondents age 30 and over. The survey provides a 95 percent confidence that the sampling error is 2.5 percent. What do these statistics mean for your local context? Are you seeing this in your local church context? Share with us what you think in the comment field (Feed readers via email or RSS will need to click through). The authors do make progress in developing their thesis in the remainder part of the book. In my take, Chapter 3 serves as the crux of the entire book, even before the authors get to defining what they mean by community based servant evangelism. They do an analysis of the idea of “the third place.” I think Starbucks is famous for that term. I remember reading Pour Your Heart Into It, about the founding of Starbucks. Founder Howard Schultz does not conceal his passion for good coffee or for his company. His initial goals were to introduce Americans to really fine coffee, provide people with a “third place” to gather and treat his employees well. Other stores have followed suite, such as bookstores. Place is a prioritized period of time which an individual is forced, feels obligated, or chooses to invest who they are. [Emphasis mine] (46). What place is the local church for most people? What place should it be? First, second, third, or farther down the list? . . As the local church goes after first, second, or third place, with whom will they do battle? . . .
Why do churches add places instead of leveraging the places that are already central to people’s lives? As the foundational premise for their community based servant evangelism, Wilkes and Pate argue that church members should be out in the community as the “third place” serving the community in ways that utilize their passion and gifts. To those far from God, the church is likely not even in the top 10. To those who even are close to God, I would argue it’s not even 3rd for many of us. Family, work, school activities, typically fulfill first, second, and third in a person’s life. Followed in no particular order with personal or family interests, sports, music lessons, recreational activity, leisure activity, community activities and religion activities. Where is the church to fit when it has to compete for all these “spaces” in the lives of those who haven’t made space for it yet? People will make space for what they deem valuable. Marketers know that. If we think of all the person hours it takes to run the church, have we left our parishioners with enough space to build relationships with unchurched people? Why can’t the church support its members when they are involved in their third, forth, and fifth place activities? Why can’t the local church encourage members to serve in secular and civic organizations instead of only serving church programs? Our churches can re-engage it’s culture by actively serving in schools, community, and civic organizations at a higher place (51). Serving in the community as the third place will provide for lots of natural opportunities for people to share their faith and meet the needs of the community. They provide several examples about coaching volleyball, helping neighbors find jobs, counseling for teen pregnancies, homeless shelters. These community service activities are more than just good works, but provide conversational connection points where church members can share their faith and influence the world. This can help your church members get beyond the “I don’t know any non Christians” (See Do you have any non-Christian Friendships?). you can help the people build relationships with those who are outside the church. This sets up Chapter 4 and the rest of the book. Community based servant evangelism (which they dub CBSE) is more than doing random acts of kindness in Jesus name. It’s intentional evangelism. It’s a philosophy of ministry and strategy of organizing the church that will influence ministry, events, and programs of the local church and specifically, the community (55). Pate and Wilkes spend the next several pages defining each word and how they are using it. The end result is picture of empowering individuals and small groups to find a need in the community that fits their passion and gifts and then creatively find ways to meet that need. The resultant relational connections built on the foundation of service and meeting mutual needs establish opportunities for spiritual growth and evangelism. Instead of always recruiting church members for program needs of the church, this permission giving approach empowers your members to get out and serve. As people serve, relationships naturally form. The evangelism portion of this model is for your members to be intentional in looking for opportunities to talk about their own spiritual walk with Christ. CBSE involves a Christ follower who serves others out of his or her passion, using one’s spiritual gifts at connection points of need in the community to demonstrate the love of Jesus to others as a salt and light servant. . . . . This really is a philosophy of ministry. In this chapter, the authors give lots of examples of how this has played out in their experience and what it means for this to become part of the DNA of a congregation. Learn more about this philosophy of ministry direct from the author, Stephen Pate. Register for the Community Based Servant Evangelism Webinar this coming Thursday. Did Saint Francis of Assisi get it wrong? Today, I had coffee with a friend of mine who said, “I don’t believe that it is my responsibility to share the gospel.” He just wanted to live his life in such a way that people would be attracted to that example and hopefully come to Christ. I reminded him that for a Christian, the Bible teaches that sharing the gospel is not optional. Jesus commanded us to tell others about his death, burial and resurrection. Who is to say that your life well lived will look any different than that example of a good atheist, Buddhist, Muslim or any other religion? (attributed to him, I’ve not seen documentation if it really was him). 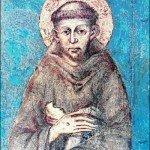 But I’ve often wondered if Francis of Assisi got it right, or if we have so misused his words to justify our lack of communicating the gospel with words. One of the things I like to say is that St. Francis got it wrong. In our culture today, meaning is determined by the meaning maker. In other words, meaning is implied in how I interpret your actions, unless you interpret your actions for me. If none is given (just being silent), what separates one’s actions from that of a moral kind and loving atheist? I think of art in a museum. I look at it but apparently I’m supposed to figure out what it means. I wish someone would tell me what those splotchs of seemingly random color smears are supposed to mean. Does your behavior stand out? If your actions are no different than another morally upright and well behaved person, what really makes you stand out? Of course, we are the salt the the earth, and to let our light shine. God will make our righteousness shine like the dawn, etc. There is something to be said about our righteousness that is attractive. That righteousness is revealed when we are under pressure — where people face the temptation to give in and fail — our righteousness shines like the dawn. Our kindness is evident when the world has treated someone wrong and its unexpected. But in our day to day life — is our moral behavior any different from the person in the next cubicle? Does that alone make us stand out? This is where I think St. Francis’ quote is misused. 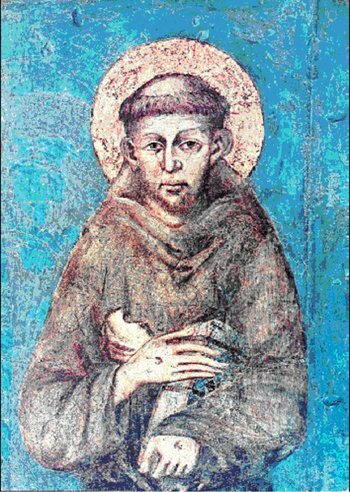 Perhaps in his day, his extreme actions spoke louder than the culture which raised the curiosity factor into Saint Francis of Assisi’s life. One of the clearest points I got out of Becoming a Contagious Christian, was the importance of clear communication. Without an explanation of the resurrection of Christ and it’s application to you, what are people to believe? That one can simply be good? Ray Comfort’s Way of the Master approach is all based on Clear Communication. It is our obedience to share our faith in Christ. It is our duty and calling to speak of our relationship with Jesus. The gospel is important and we want people to believe in the gospel as revealed in Scripture. We don’t need to let people guess for themselves. Servant evangelism offers a card with their actions that explain that they are doing their service as an active demonstration of the love of Jesus Christ. The cards given usually don’t explain the gospel, but give an invitation to the church, and provide a contextual moment for a gospel conversation to occur if the Holy spirit is opening the door. When has a non-Christian asked you why your behavior is different? How did you answer that question? What can you do to make sure your life is interpreted in light of the gospel? Miss part 1 with number 1-5? 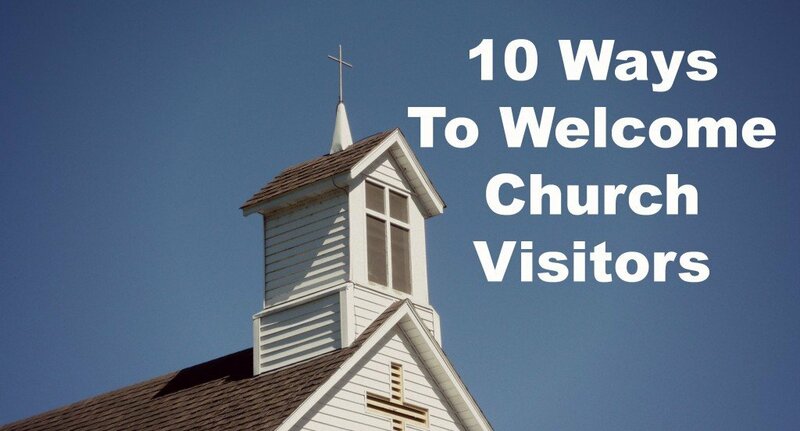 You can read 10 Practices to Welcome Church Visitors Part 1 by following that link. Here are Common Practices 6-10. Some churches will go beyond only training greeters for points of entry at the church, such as the front door. These folks are part of the greeting team but are not in the obvious places like the front door or as an usher. I had a fellow in my congregation who never served on a greeting team. However, he was always in the sanctuary, taking the initiative to greet people personally and visit with them for a little bit. He functioned as a “secret greeter.” This someone beyond the “professional greeter” at the door or the welcome center. If for some reason a visitor gets to the sanctuary with a greeting from someone, this person is there to continue that greeting. Most churches that I have experienced will have the worship leader give some kind of welcome to the greeter. Whatever you do, take great pains not to embarrass the newcomer. Among other things this means you should not identify new people by placing a ribbon, flower, or name tag on them. Do not ask visitors to stand and speak before the entire congregation. A survey of one thousand adults 18 years of age or older reported that “making a speech” was the number one event causing adults to be nervous. It ranked first, ahead of, in order, getting married, interviewing for a job, going to the dentist, a first date, and getting a divorce. (p 110). My wife and I recently visited a church where this wasn’t done at all. 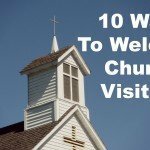 She commented that it simply feels nice and warm when the worship leader acknowledges the presence of visitors and encourages the church to say hello. 8. Friendship Pads, Fellowship Books. These are books that gather attendance information and provide a place for visitors to identify themselves by checking a box on the form. The idea is that other people in the row would see check in the visitor box and take the initiative to greet. Church multi-purpose this form for attendance tracking. However, I have been in churches where I check the box, and still no one greets our family. This practice seems to be falling out of favor because the pads become a doodle bin, the pencils are hard to keep sharp and it’s becoming an administrative nightmare. There are other ways of getting visitor contact information, particularly the response card system mentioned in Fusion: Turning First-Time Guests into Fully-Engaged Members of Your Church (which I think is the best Assimilation book available right now). They use a Connection card that is distributed with the bulletin and every one (members, attenders, and visitors) fill it out as part of the service. This information is used in their assimilation process, described in detail in their book. 9. Quality Snacks and Beverages. The basic idea is a informal reception area where people can gather after the service. For some, this is the lobby area (some call that a narthex). For others, it could be in the fellowship hall or auditorium. As our evangelism training ministry takes us to churches throughout the Americas, many American congregations provide some kind of coffee hour after the service, to allow for a social setting where people can talk one on one. (Observation: In my travels in 10 different Spanish speaking countries and countless churches, only one church practiced this idea). Make the coffee fresh and of appropriate strength. It should not be reheated from last night’s fellowship event nor should it be so weak as to taste like colored water. While it doesn’t take a lot of skill to make coffee, making it right is the challenge. Coffee drinkers know a good cup of coffee, and a bad cup will leave a bad taste. Don’t forget to make enough – sometimes the pot gets drained before visitors have had a chance to get to the urn. Offer alternatives such as teas, juice, ice cold water. If you choose to use bottled water, offer a recycle container for empty bottles. Whatever snack items are offered, make sure they are fresh. Stale sweets, or frozen items (poke a little fun) that had been thawed simply taste cheap and do not make a great first impression. Consider common food allergies and either avoid those (like nuts) or provide an appropriate sign. 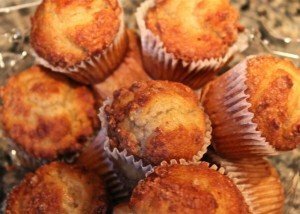 In our health conscious time, provide healthy options for those that don’t want sugary cookies or sticky sweets. Church members should be on the lookout for visitors again in this time. Some visitors are obvious – standing around, reading the news items on the bulletin board, and generally being overlooked. Members ought to take the initiative and start a conversation. This can be a time to help make connections and perhaps introduce people to the pastor. Pastors should make themselves available during this time to meet and greet people, not rush off to the study and prepare for the following service. In the international church I served, we stressed the importance of introducing our visitors to the pastors. We had been told that many people from non-American cultures consider it an honor to be introduced to the pastor. Some visitors will partake of the Sunday School offerings. Many have a strong program here that attracts visitors who come for the first time. I experienced a warm welcome in a 14,000 member mega church because of my experience in Sunday School. I arrived early enough to pick a class. Once I found it (a kind person in the hall pointed out where I needed to go) I was welcomed by a person and invited to a beverage and ushered to a place to sit. The small talk was not intrusive but just enough to help me feel at ease in a strange place with total strangers (I was by myself). When the Class was over, this person showed me to the sanctuary and took me to a usable seat. After asking if there was anything else I might need, they left. I learned later that this church was very intentional in their Sunday School program to welcome class visitors. Each class had a person in charge of the beverage, the teaching, and the greeting. I felt welcome, overcome the sense of being lost on their campus. Do you want to discuss your where your hospitality system is stuck? I offer a coaching call where I spend time on the phone with you or your committee, up to 90 minutes, where I help you trouble shoot and develop some action plans. I can help you review your systems through a step by step flow chart that I’ve developed. Read more about that hospitality coaching here. What did I miss? I’m sure your church might do things a little different. What practices do you do in your church that you’d like to share? Feel free to share with us in the comments.